Our figgy pizza before baking! Yum! 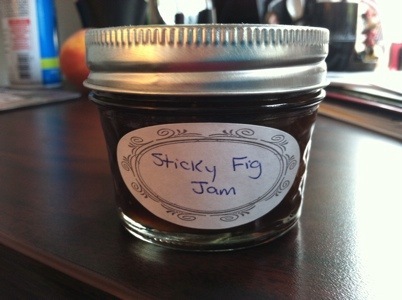 I’ve already written of my love of figs, so I was understandably excited to hear about a pizza with figs. Yum! And who in the world doesn’t like caramelized onions??? We are fortunate that at this time of year, we can find fresh figs, artisanal goat cheese and onions at the farmer’s market! This is really a lovely pizza and very tasty, too. Great for a Meatless Monday! 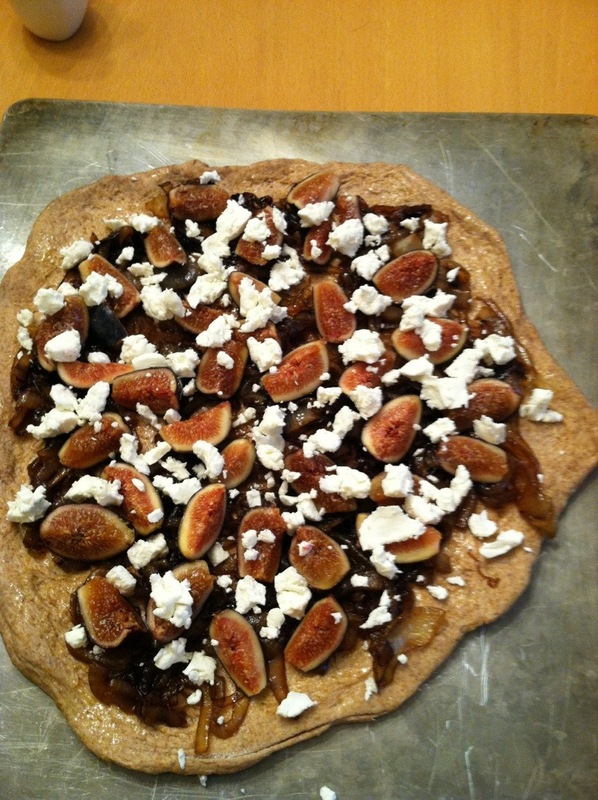 Ellie picked the figs off, but she liked the goat cheese and onions together. And I was happy to eat her figs! While pizza dough is rising, heat 4 Tbsp. of olive oil in a saute pan over medium heat. Add onions. Cook until translucent. Lower heat to medium low, sprinkle onions with salt and pepper to taste and continue cooking about 15 minutes until onions are browned (not burned) and caramelized. Add a tablespoon or so of olive oil during cooking if you need it. Add balsamic vinegar to the onions, stir and keep warm. When dough is ready, punch down and shape into a pizza round (for the record, mine are never round–more of a free form organic shape). Brush olive oil on the pizza round. Spread onions all over dough, leaving 1″ on the edge for the crust. Arrange fig quarters on top of the onions. Sprinkle the goat cheese on top. Bake pizza for about 12 minutes or until crust is golden and cheese is soft and melty.